Dr. Debbie Luk is one of the few residency-trained and board-certified Developmental/Neuro-Optometrists in Canada to provide Vision Therapy. As part of her specialty training, Dr. Luk works with many high performance athletes to provide Baseline Concussion Assessment and Sports Vision Training. She is the official eye doctor for the Calgary Flames. Her specialty also lies in pediatrics, binocular vision and visual perception. She provides vision therapy and performs specialized testing to identify strabismus (eye turn), amblyopia (lazy eye) and learning-related vision problems. Dr. Luk is also experienced in treating patients with special needs, learning disabilities and concussions/traumatic brain injuries. She recently received the Alberta Optometric Association Service Award for her extensive efforts to raise awareness and advocate for children’s vision. Dr. Luk graduated with an Honours Bachelor of Science degree at the University of Western Ontario. Afterwards, she completed her Doctor of Optometry degree with Honours at the University of Waterloo where she served as President for four years. Upon graduation, she was presented with the American Optometric Foundation Carl Zeiss Vision Fellowship and the College of Optometrists in Vision Development Award for Clinical Excellence in Vision Therapy. Dr. Luk’s post-doctorate studies include a Vision Therapy residency in New York City. There, she earned a certificate of Advanced Clinical Competency in Vision Therapy and Rehabilitation. In order to have the highest level of knowledge and skills for treating her patients, she completed a certification process and was inducted as a Board Certified Fellow (FCOVD) of the College of Optometrists in Vision Development. Dr. Luk has conducted research in juvenile glaucoma and cataracts, published in the Journal of Medical Genetics, and presented posters at the Academy of Optometry Meeting. She has been invited to lecture at continuing education conferences for optometrists, health care professionals and educators. Furthermore, she has taught a binocular vision laboratory to optometry students. 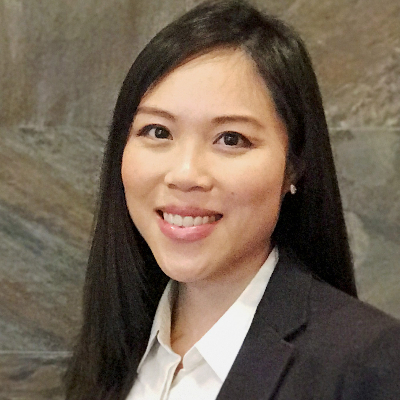 Dr. Luk is currently a Clinical Adjunct Professor at the University of Waterloo School of Optometry and member of the Alberta Association of Optometrists’ Vision Development Rehabilitation Committee. Dr. Luk is a competitive swimmer, and enjoys hiking and biking. See Dr. Debbie Luk’s Awards, Publications and Associations. A native of Banff, Alberta, Dr. Cassandra Biro attended the University of Alberta Undergraduate Science in Physical Sciences prior to graduating from The University of Waterloo with a Doctorate in Optometry (Honors). She was also the recipient of the A.W. Cole Prize to the final-year Optometry student ranking highest in clinical proficiency. 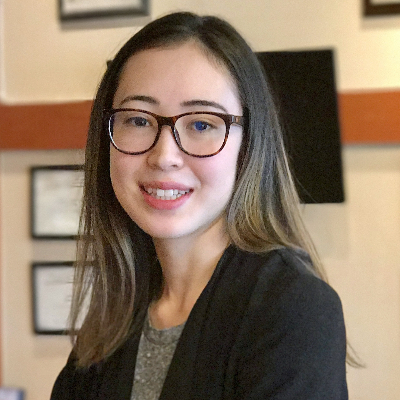 From mid-2015 and on, Dr. Biro established a learning relationship with Dr. Luk including a formal clinical externship in her final year of her Optometry studies. Additionally, she completed three other externships including one in ocular disease and therapeutics in Muskogee, Oklahoma and two in primary optometric care in Calgary, Alberta. In her free time, she enjoys cooking, travelling, and heading home to enjoy the mountains with her family. 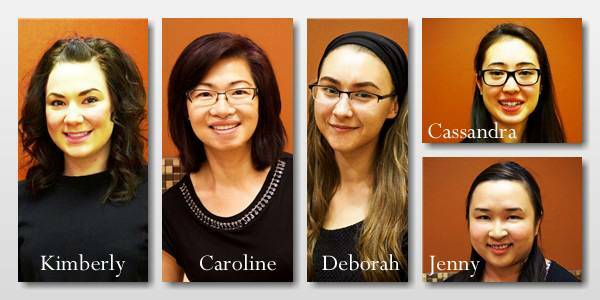 Dr. Biro is both excited and honored to return back to Browz to serve the surrounding community.